Patients present to our practice with a variety of complaints. These can include symptoms of pain, altered sensation such as pins and needles, heat and numbness, decreased bowel and bladder control, reduced mobility and/or changes in the curvature of the spine. 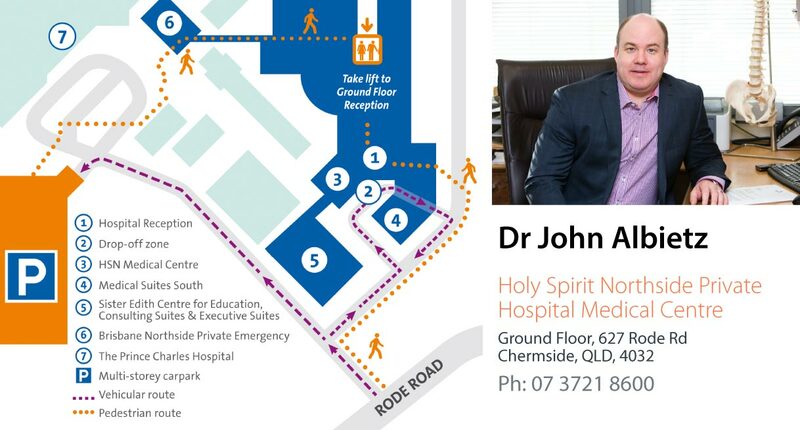 At your initial appointment, our spinal consultants will physically examine and take a thorough patient history to determine the onset, duration and nature of your spinal symptoms, treatments trialled and/or currently used, a past medical and surgical history, current list of medications, a social history and a review of all x-rays and scans provided. If any further imaging or tests are required to assist in the diagnosis of your condition, a referral for this will be provided. A standing x-ray is a very useful and simple way to determine bone structure, alignment and instability. X-rays are most effective in diagnosing scoliosis conditions of the spine by monitoring and quantifying the progression of spinal curvature. These Computed Tomography scans provide a more defined image of soft tissue, vessels and bony detail of the spinal anatomy. A Magnetic Resonance Imaging scan uses magnetic field radio frequencies to provide a 3 Dimensional view of spinal column soft tissue structures, especially spinal nerves and discs. It can also show great detail of any infections, tumours and/or soft tissue injury. No radiation is used in this procedure.